Niche, Reach, and Touch: Make Selling Online a Personal AffairAre You Ready for Machines to Control The Internet Of Things? A dozen or so companies brand their own printer ink for their inkjet printers. Why does the market need this many choices, and what is the difference between them? We know the market ins and outs of genuine vs aftermarket ink in the print world. Now, let’s look at the various technologies working within genuine ink cartridges. Here, different printer brands distinguish their products from each other to a certain extent. Modern ink printing deals with process of putting ink on paper is called drop on demand—named as if part of your cable subscription—and it happens when heat is applied to a cartridge to push out tiny amounts of ink. What is drop on demand ink? Inkjet printing as we know it happens by drop on demand technology. It is an ink delivery system for printers that “drop” ink on to the paper on the user’s “demand.” Nearly all printers on the current market follow the drop on demand delivery system. Beyond the self-explanatory name, however, are two subcategories of drop on demand that may potentially impact your printing needs: Thermal and Piezoelectric. What is thermal drop on demand? Thermal drop on demand ink systems uses an electric current and an attached system to heat up the ink and form a microscopic bubble in the printer head. This microscopic bubble then forces the ink out of the printer head through a change in pressure, causing the ink droplet to accurately land on the paper below. Because of the intense temperature involved in ejecting ink out of the printer head, certain types of inks are incompatible with this form of drop on demand. What is piezoelectric drop on demand? Piezoelectric drop on demand ink systems is a technology patented by Epson, and unlike its heat based counterpart, uses an electric sensitive material that morphs into a different shape when an electric current is applied. The new shape squeezes fine droplets of ink out of the printer head before the electric current is removed and the electric sensitive material returns to its original shape. Since the ink is being squeezed out mechanically, all types of ink are compatible. Which is better? thermal or piezoelectric? Better for whom? The answer, as always: it depends on what you’re printing, how much you print, and onto what you’re printing. The smart professionals buying for business will account for three factors when deciding between thermal and piezoelectric. What type of ink cartridge makes a better quality prints? Both technologies have made strides in technology, with a tiny lead for piezoelectric. The piezoelectric has an edge in precise control the material contraction and droplet size with electric currents. The thermal printer head suffers wear and tear from the exothermic process—thus slightly lowering print quality. Where thermal technology excels is in print head footprint size: it has more nozzles per print head and a minor increase in quality when printing larger images. Both technologies have made strides in quality and they are similar in quality, with a tiny lead for piezoelectric. Which printer ink cartridge type is best for business? All types of ink can be used with piezoelectric technology, including glossy ink materials. In contrast, thermal has a limited gamut of ink types. Certain ink types do not react well with heat and may cause internal damage to the thermal system. However, consider the purpose to the printer. A home or enterprise office printer probably needs only basic flat ink to print reports. On the other hand, a design company may need to print out high quality gloss prints for clients. Keep in mind advances in ink technology, such as heat resistant ink, bridging the difference between the two types. Which printer ink cartridge type has the best cost per page? Pricing and replacement costs vary greatly depending on model, ongoing ink toner deals, and model age. Despite the varying differences, there are some universal takeaways. In general, piezoelectric holds higher initial cost due to their versatility options and higher printer head replacement cost. In addition, they often have the printer head as a separate unit from the ink cartridge and must be replaced individually. On the other hand, because they are mechanical, the printer heads incur less damage over time and do not need to be replaced as often as their thermal brethren. Because of the construction quality of piezoelectric, they demand a higher cost per unit. Thermal, on the other hand, have a lower initial and printer head replacement costs. Often times, but not always, the printer head is manufactured into the ink cartridge. This means whenever a thermal ink cartridge is replaced, the entire system is replaced—and the cost of the printer head is built into the ink cartridge. If the printer head is not manufactured into the ink cartridge, then the exothermic reaction will wear out the printer head faster than a piezoelectric printer head and will need to be replaced more often. Despite these negatives, the thermal has a lower cost per unit. Which drop on demand system is best? That depends on the desired work and available budget. If a verdict has to be passed, then they are mostly equivalent to each other. Technology has been developed far enough that the negatives for the two systems are minute for most purposes. Unless the task demands the highest printing quality, go with thermal. Otherwise, if you need that precise blueprint, go with piezoelectric. 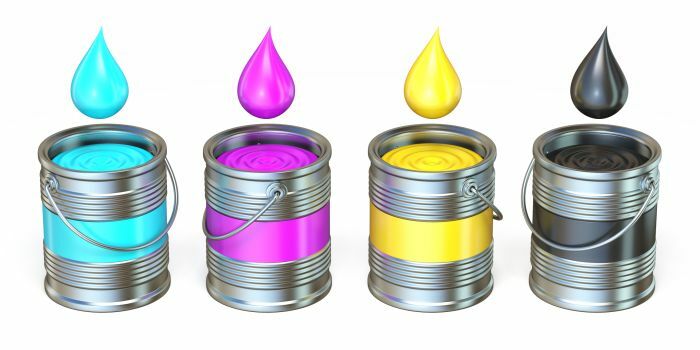 But overall, the differences among genuine printer ink brands will probably go unnoticed by the untrained eye for everyday business printing. A dozen or so companies brand their own printer ink for their inkjet printers. Why does the market need this many choices, and what is the difference between them? Different printer brands distinguish their products from each other to a certain extent.